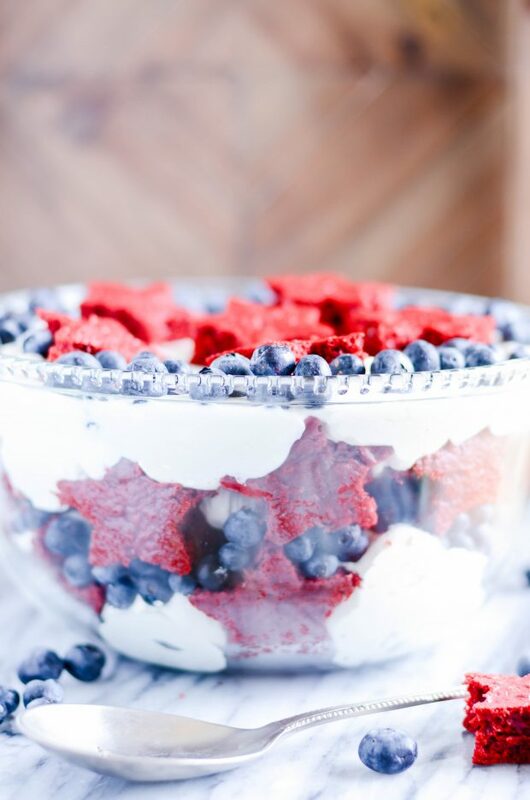 Layers of sweet red velvet cake, cheesecake filling, and juicy blueberries make an easy and patriotic summertime trifle. 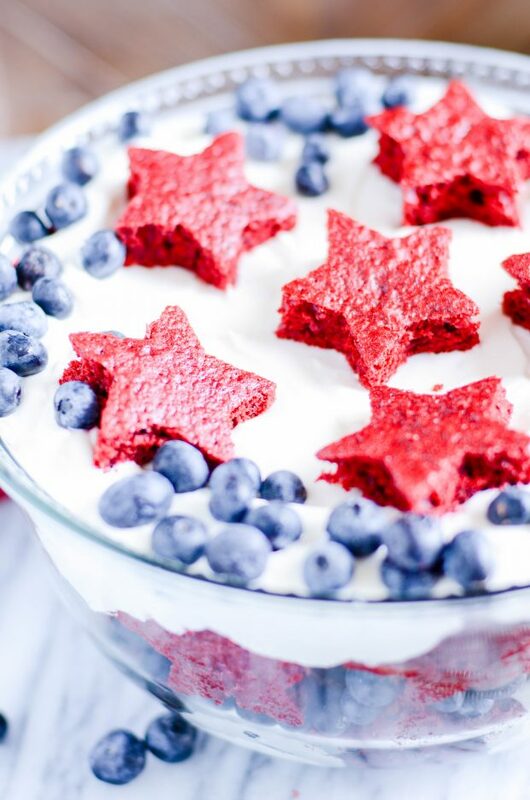 I made this Red, White, and Blue Berry Cheesecake Trifle for Memorial Day (or the 4th of July? I can’t remember) a couple of years ago, and it’s still one of my all-time favorite summer recipes. Angel food cake, a luscious cheesecake filling, and lots of berries. SO GOOD! 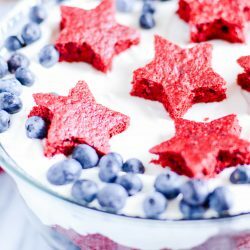 I decided to piggyback off that dessert and make a new red, white, and blue trifle for the 4th this year. But with red velvet instead! I’m still using the same cheesecake filling (if it ain’t broke, don’t fix it, amiright? ), and we’re still adding lots of juicy blueberries. And you could definitely add strawberries too even though I didn’t this time. But instead of angel food cake, I decided to use red velvet instead! Making a beautiful trifle isn’t overwhelming at all. In fact, it’s by far one of the simplest and easiest elegant desserts you can make. Preparing each of the components on their own is easy enough, and then you can assemble the whole thing whenever you need to! One of the best things about a trifle is that it’s a great make-ahead dessert, because it’s actually a little better if it has some time to rest in the fridge before you serve it. I whipped up my cake batter using a red velvet box mix and baked it on a large jelly roll sheet. You can follow the box directions for baking, but I wanted to bake mine thinner so that I could cut stars (also because a thinner cake bakes faster– and I needed to run out the door for carpool! #storyofmylife). Anyway, feel free to use my grandmother’s homemade red velvet recipe if you’d rather not use a mix. Totally your call. And that cheesecake filling? Swoon-worthy. 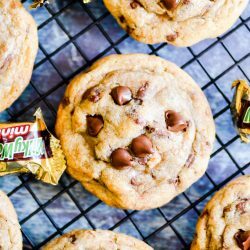 I guarantee you will impress anyone who takes a bite! Beat together the cream cheese and sugar. Mix in the marshmallow cream, scraping down the sides as needed. Mix in 16 ounces of Cool Whip, reserving the remaining 8 ounce for the topping. 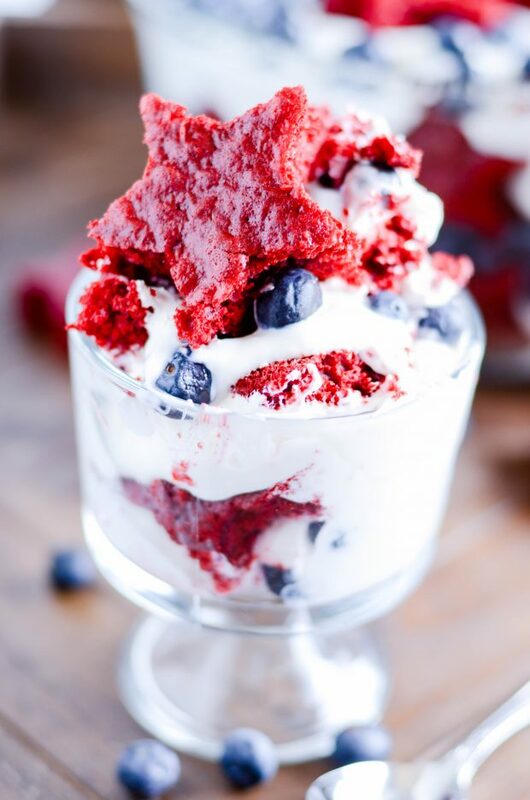 Layer the red velvet cake pieces, the blueberries, and the cheesecake filling in a trifle dish. Top with the remaining Cool Whip and blueberries. I seriously wish I was eating this right now. Sounds amazing! I also love stuff out of a jar…seems like it has fewer calories. =) This looks great!! That looks fantastic! I love the little pink and red hearts, too! 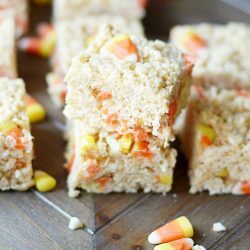 I love that this is so easy! I need to get me some jars so I can hop on this jarred-desserts bandwagon. Ummm, yes please! Although the red velvet cake batter dip was so good, I’m a little scared to make something else & stop eating that…..
Just eat both. There. Problem solved. wonderful idea! what size jars did you use? thanks! Yum! I love making trifles, and individual ones look like a great idea for a party. Thanks for sharing. Yum – you are turning me into a red velvet believer! This looks so awesome! Can’t wait to make it! Your blog is awesome! I’m trying these for the ladies I work with this week. I am so with you, if it’s in a jar I love it!